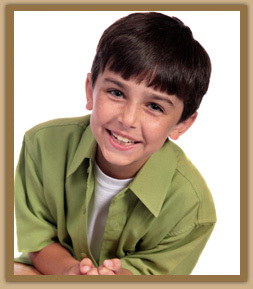 Honig Orthodontics specializes in the movement of teeth and correction of adverse jaw growth problems. Evaluating and diagnosing each individual patient’s dental development, presents a slightly different challenge for an orthodontist. There are many factors at work and different approaches that can be used. It is not necessary to be referred by your general dentist for a complimentary orthodontic evaluation at Honig Orthodontics. Be proactive and contact our office to schedule an appointment. If your child does not require early interceptive treatment, Dr. Gordon Honig will continue to monitor your child’s dental and growth development in our complimentary supervisory program to determine the right time to begin treatment, based on your child’s needs. Can you please tell me what is recommended when someone (my daughter) has retained two primary second lower molars because no permanent teeth exist for replacement. The baby lower molars are shorter than her other lower permanent bottom teeth and I have heard that her upper permanent molars above the baby teeth lower molars will become longer trying to reach them. Is it recommended to crown the lower baby molars as they are healthy with no decay to build them up taller to avoid this? If so how long will crowned baby molar teeth last and should they be crowned with metal or white porcelain? How long do implants last if that would be a better choice for the baby molars? What is the time span for the upper permanent molars above the baby lower molars to drift and become longer? Thank you for any help you can give me answering any of the questions.